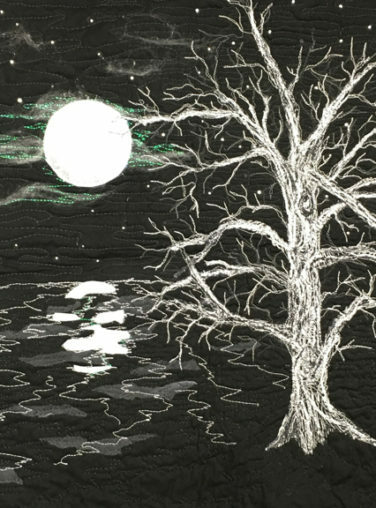 Led by fabric artist Laura Gilmartin, you will learn different techniques to build your own moonlight scene using fabric, netting, yarn, Angelina fibers and specialty threads. A fun way to explore both thread art and the effects you can achieve with various media. 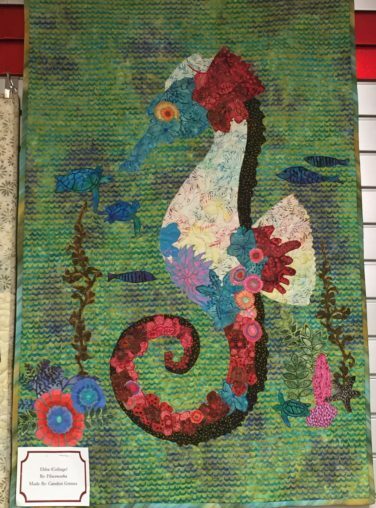 Laura Gilmartin has been creating one of-a-kind art quilts since 2009. 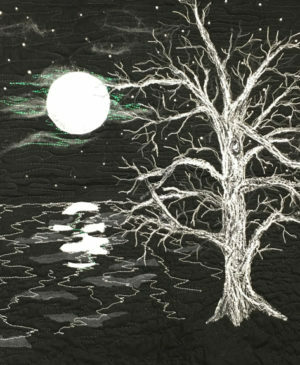 Most of her quilts are hand painted using several media, fibers, threads, and embellishments, then machine quilted. 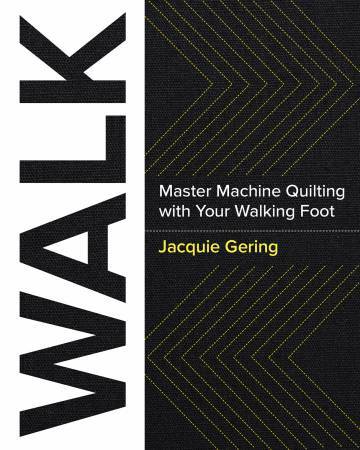 She has been published in several books and her quilts have traveled around the country showing at local and prestigious venues. 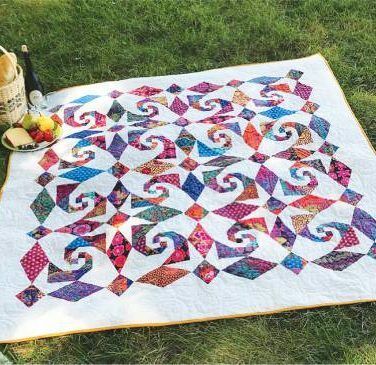 Two of her quilts were published in Inspired by The National Parks, Their Landscapes and Wildlife in Fabric Perspectives by Donna Marcinkowski DeSoto. In 2017 her quilt portrait of Buzz Aldrin’s official NASA photo was published in Fly Me to the Moon, An Art Quilt Journey by Susanne Miller Jones. “’Ta-Da’, You Ain’t Nothing but a Hound Dog” was included in Inspired by Elvis: Art Quilts Celebrating the King, another book by Donna Marcinkowski DeSoto. Laura has 7 additional quilts being considered for books to be published in 2019. Retired in 2009 from the Federal Government after 32 years of service, Laura lives in Stafford Virginia with her husband Jeffrey and her two 4-legged kids, Seamus and Fiona, who keep her company, in addition to wreaking havoc on any wool batting or threads they can sneak away with. Visit Laura’s website, www.artisamanysplendouredseam.com, to view more of her artwork!